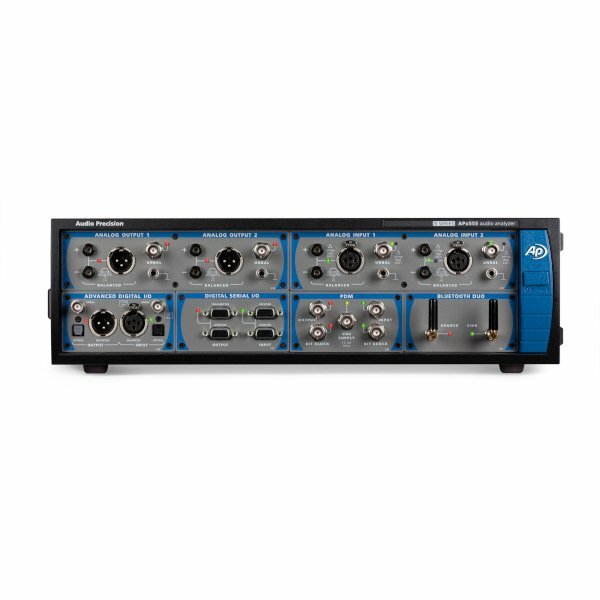 A culmination of 30 years experience making test equipment recognized as the standard of the audio industry, the APx555B is a two-channel audio analyzer without compromise. 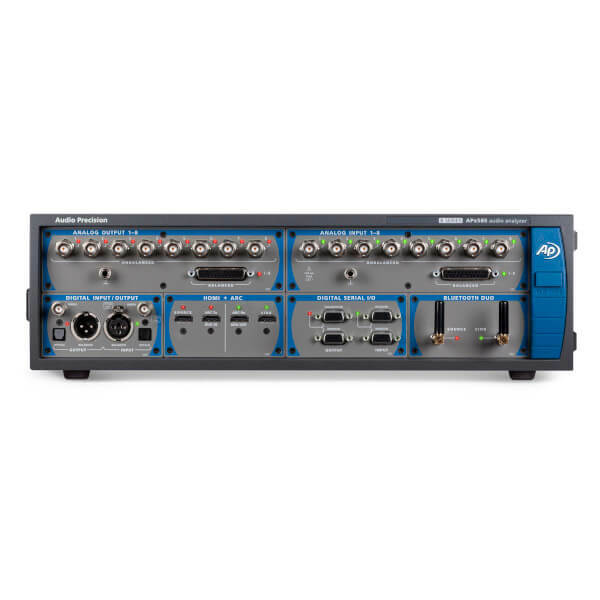 Developed for R&D engineers and production technicians who need the highest possible performance, a broad range of digital I/O options and fast, intuitive software, the APx555B is the new standard for audio analyzers. 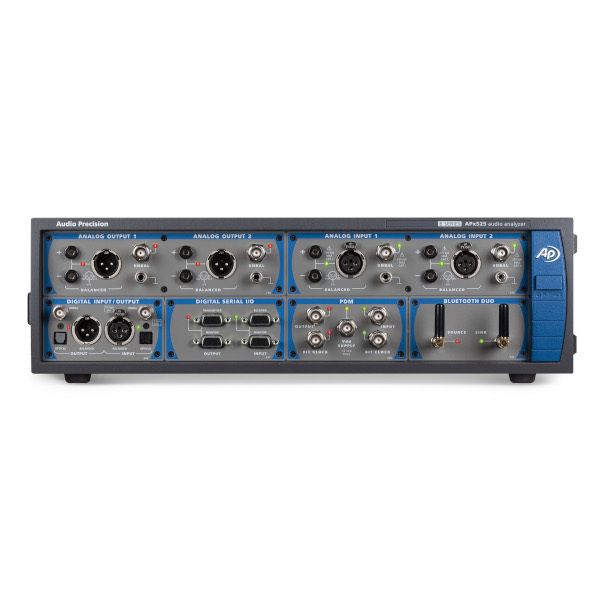 With a typical residual THD+N of -120 dB and over 1 MHz bandwidth, the APx555B surpasses the analog performance of all other audio analyzers, including a 5 dB improvement compared to our 2700 Series analyzer. Add to this FFTs of 1.2 million points and full 24-bit resolution, and you have performance unmatched by any other instrument. 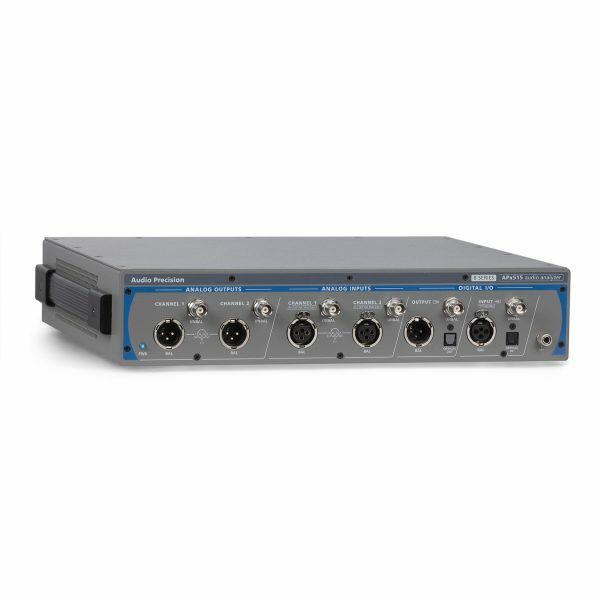 APx555B has two balanced and two unbalanced analog inputs and outputs plus 216k digital inputs and outputs via AES/EBU, TOSLINK and SPDIF. Additionally, I/O may be expanded with optional Digital Serial, HDMI with ARC, PDM and Bluetooth modules. A new Advanced Master Clock (AMC) module handles input and output clock signals to synchronize the it with external equipment (or vice versa), and the AMC also enables jitter generation and analysis. 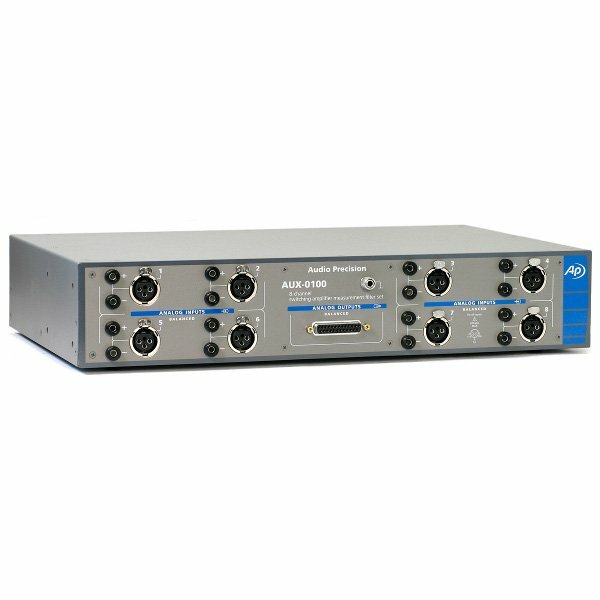 AMC is standard and is an option for the APx52xB Series and APx58xB Series Audio Analyzers. 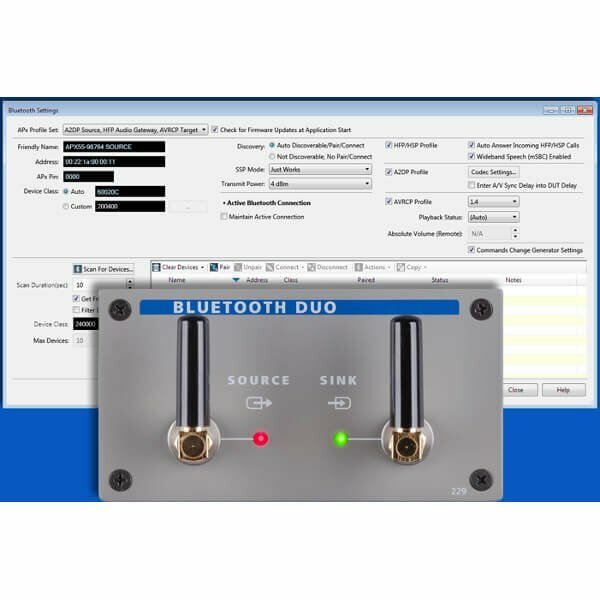 APx500 software options provide measurements and functionality beyond the core set of capabilities standard for the APx555B. A variety of options are offered, suited to different specific test applications and requirements. Software options are enabled by one or more “iButtons” that mount on the rear of the APx555B. Each iButton enables a particular feature or set of features, and can be moved from analyzer to analyzer as needed.